THE Infrastructural Bank of Zimbabwe (IDBZ) has secured land for the construction of a student accommodation facility in Lupane for students at Lupane State University. This comes as Lupane State University has been battling to find enough accommodation for its students after most departments relocated to the campus from Bulawayo. IDBZ chief executive officer Mr Thomas Zondo Sakala said the bank is looking for land in other cities where there are state universities to ease the accommodation crisis. "The next site which we are moving to is Lupane where we have already bought land just like what we did here in Bulawayo. We are also looking for land in Gwanda, Chinhoyi, Bindura, Marondera, Mutare and so forth," said Mr Sakala. Mr Sakala said the construction of the Bulawayo facility will have a capacity to accommodate about 1 000 students. "The Bulawayo facility has a capacity of 1 100 students at a total cost of about $13 million. It is fully funded, which demonstrates investors' support for the programme and Bulawayo. So our challenge now is to ensure work should commence without further delays," he said. He added that the facility will accommodate all students from tertiary institutions and those coming from neighbouring countries. "The project that you are talking about is our first facility in this countrywide programme. The good news around it is that we were able to mobilise double the resources we needed. It is a facility that is close to National University of Science and Technology but is not, by definition, a Nust specific facility. Instead, it will be open to students pursuing tertiary education in Bulawayo. Thus, there are going to be students from Nust, from teacher training colleges, from medical training centres, from the Zimbabwe School of Mines, School of Hospitality etc. We also believe that it is a facility that will be very welcome to foreign students, you know we have students that are coming from neighbouring countries and I am sure the parents at times feel challenged in terms of what kind of conditions their children are living in," he added. Mr Sakala said administrative processes had delayed the construction of the Bulawayo facility. "There were a number of administrative processes which needed to be cleared with neighbourhood residents as well as city authorities. All is well now and we should see the contractor commence work very soon," he said. In past reports residents at Selbourne Park complained against the construction of the facility arguing that it will devalue their property by turning the place into a high density suburb. Mr Sakala said there were many lessons learnt from the Bulawayo project. "Bulawayo has also given us useful lessons as we now roll out the programme across the country. There are a number of processes we are going to do differently, better. On the other hand we are appealing to the various local authorities we will be working with to ensure that there is timely approvals to plans and requests we submit to them throughout the various project development and implementation stages. We are also ready to get into partnership with bona fide interested developers and investors." Meanwhile, the Government has also given the IDBZ the mandate to build medical facilities for staff accommodation. "You might want to know that we have been given a similar mandate to build facilities for medical staff, that is doctors and nurses. We have already identified some land here in Bulawayo which we are going to put to use for that purpose and we are going to do that throughout the country wherever you have district, provincial and regional health facilities. 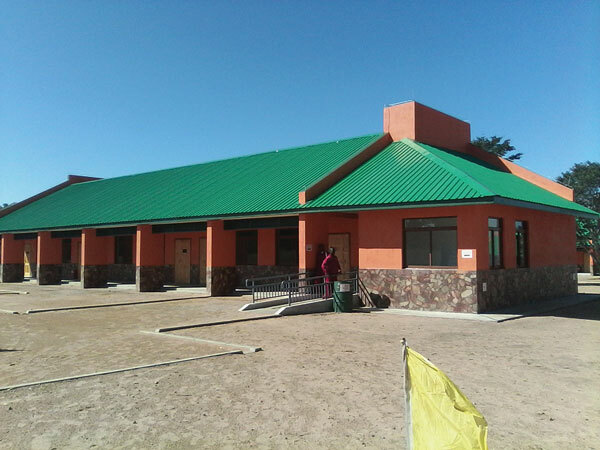 Again in the health sector my colleagues and I have been visiting a number of PSMI facilities across the country, we have already covered all the major towns from Mutare to Bulawayo," said Mr Sakala. He said the bank is also look into rehabilitating medical facilities at medical institutions. "We look forward to agreeing with them on a few specific sites where we are going to do rehabilitation, upgrading or even new construction of clinics, laboratories, hospitals and staff accommodation. Besides the hard infrastructure, we also believe there is scope to include critical medical equipment in these projects," he said.